“The opioid epidemic has inflicted an unprecedented toll of addiction, suffering, and death on communities throughout our nation. Drug overdoses, including overdoses caused by the lethal substance fentanyl and its analogues, killed more than 64,000 Americans in 2016 and now rank as the leading cause of death for Americans under 50. In the face of all of this death, we cannot continue with business as usual. “Drug traffickers, transnational criminal organizations, and violent street gangs all contribute substantially to this scourge. To combat this deadly epidemic, federal prosecutors must consider every lawful tool at their disposal. This includes designating an opioid coordinator in every district, fully utilizing the data analysis of the Opioid Fraud and Abuse Detection Unit, as well as using criminal and civil remedies available under federal law to hold opioid manufacturers and distributors accountable for unlawful practices. Note: To view the signed memo click here. The Honolulu Police Department has sent letters to local medical marijuana patients ordering them to “voluntarily surrender” their firearms because of their MMJ status. This may be the first time a law enforcement agency has sought out state-registered medical marijuana patients and ordered them to surrender their guns. The letters, signed by Honolulu Police Chief Susan Ballard, inform patients that they have 30 days upon receipt of the letter to transfer ownership or turn in their firearms and ammunition to the Honolulu Police. The existence of the notices, first reported early today by Russ Belville at The Marijuana Agenda podcast, was confirmed to Leafly News this afternoon by the Honolulu Police Department. The startling order comes just three months after the state’s first medical marijuana dispensary opened in Hawaii’s capital city. The clash between state marijuana laws and federal firearms law—which prohibits all cannabis patients and consumers from purchasing firearms—is a growing point of legal contention in the 29 states with medical marijuana laws. The Honolulu letters, however, may represent the first time a law enforcement agency has proactively sought out state-registered medical marijuana patients and ordered them to surrender their guns. Warning: The use or possession of marijuana remains unlawful under Federal law regardless of whether it has been legalized or decriminalized for medicinal or recreational purposes in the state where you reside. Many state laws allow patients to medicate with cannabis, but the federal prohibition on cannabis consumption crosses that legality when it comes to firearms. The supremacy of federal law on this point was upheld last year by the 9th US Circuit Court of Appeals. Guns or Cannabis: Which Is More Strictly Regulated? The Honolulu Police Department cites state law, not federal law, as the basis for the order. “Under the provisions of the Hawaii Revised Statutes, Section 134-7(a), you are disqualified from firearms ownership,” says the letter. 134-7(a) No person who is a fugitive from justice or is a person prohibited from possessing firearms or ammunition under federal law shall own, possess, or control any firearm or ammunition therefor. 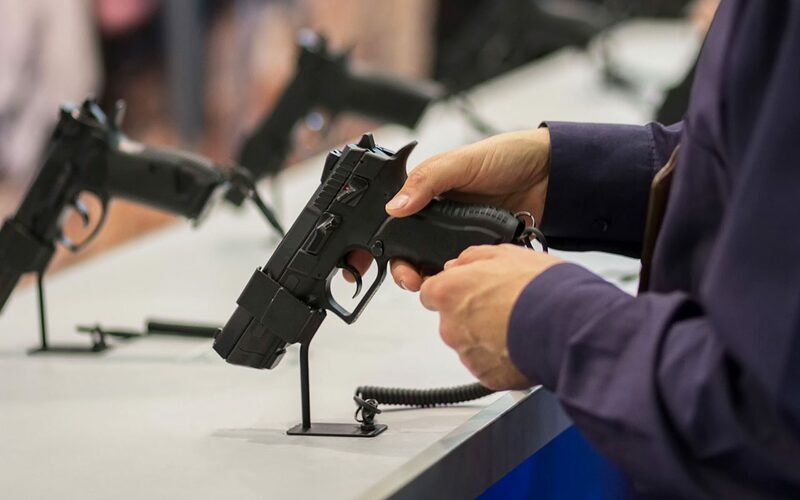 Until now, the clash between firearm ownership and patient status has been largely avoided through a de facto “don’t ask, don’t tell” policy. Firearms purchasers are forced to either lie on the ATF form (a federal offense), or tell themselves they’re technically honest—the ATF form asks, “Are you an unlawful user of, or addicted to, marijuana,” and those who quit cannabis yesterday technically were but no longer are unlawful users of marijuana. A number of states issue medical cannabis patient cards or authorizations but do not keep a searchable database of patient names. In some medical cannabis states, like Arizona, firearm purchasers are not required to register with the state. Hawaii, though, maintains an electronic database of both firearm purchasers, who must complete both the federal ATF and a state permit application, and medical marijuana patients. That allowed the Honolulu police to cross-check and compile a list of MMJ patients in the state’s firearms registry. A federal government ban on the sale of guns to medical marijuana card holders does not violate the 2nd Amendment, a federal appeals court said Wednesday. The ruling by the 9th U.S. Circuit Court of Appeals applies to the nine Western states that fall under the court’s jurisdiction, including California, Washington and Oregon. It came in a lawsuit filed by S. Rowan Wilson, a Nevada woman who tried to buy a firearm in 2011 after obtaining a medical marijuana card. The gun store refused, citing the federal rule on the sale of firearms to illegal drug users. Marijuana remains illegal under federal law, and the Bureau of Alcohol, Tobacco, Firearms and Explosives has told gun sellers they can assume a person with a medical marijuana card uses the drug. 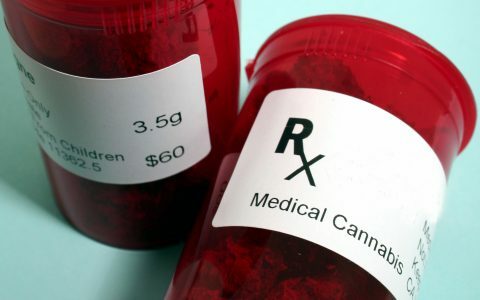 The 9th Circuit in its 3-0 decision agreed that it’s reasonable for federal regulators to assume a medical marijuana card holder is more likely to use the drug. In addition, a ban on the sale of guns to marijuana and other drug users is reasonable because the use of such drugs “raises the risk of irrational or unpredictable behavior with which gun use should not be associated,” Senior District Judge Jed Rakoff said. The 9th Circuit also rejected other constitutional challenges to the ban that were raised by Wilson. An email to Wilson’s attorney was not immediately returned.